We all love music. It gives more substance when there are small talks. This is being done more on TV. 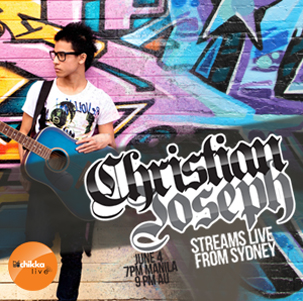 How about experience a live concert online with some small talks with online fans? Chikka Philippines, creators of the popular free text messaging app that unites online and mobile Filipinos worldwide, is providing its users with a new media experience through “Chikka Live: Small Talk, Great Music.” It is a series of live streaming musical acts running for eight (8) weeks every Saturday (starting May 21) featuring an unprecedented line-up of some of the most popular online personalities in the Philippine music scene. 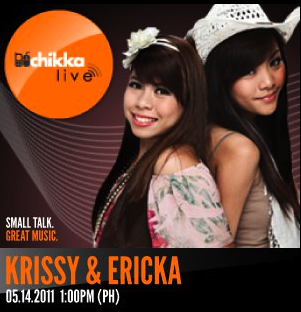 Country pop duo Krissy and Ericka will be opening the Chikka Live series. Known for their charming good looks and impressive vocal talent, the vivacious sisters currently have over 74,000 followers on Facebook and over 13 million views on their YouTube account: krissysings. Their success on the Internet also paved the way for record deals and gigs alongside Sam Milby, Owl City, and the popular Korean ballad group 2AM. 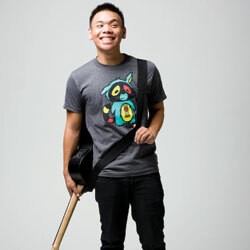 American Idol finalist Ramielle Malubay, and other special guests like US YouTube sensation Erika David and Japanese-American international acoustic singer Marié Digby, all of whom have huge following in their online fan pages. Here's the deal... Fans tuning in to the live streaming concerts will be able to text the artists for free via Chikka Text Messenger. Chikka will be our “backstage pass” as this will enable us to continue sending FREE text messages to the artists even when they are not online. Chikka is also working on making Chikka accessible across all platforms. Their instant messaging application is now available on the iPhone and on Android phones, and they are currently developing an app for Blackberry users as well. So watch out for it! Founded in 2001, Chikka’s flagship is the Chikka Messenger, an online application that supports the delivery of instant messages as SMS to mobile phones. According to the company, Chikka Messenger, now with over 68 million registered users, is probably the most widely-used and viewed Internet and mobile-based communications tool by Filipinos worldwide. 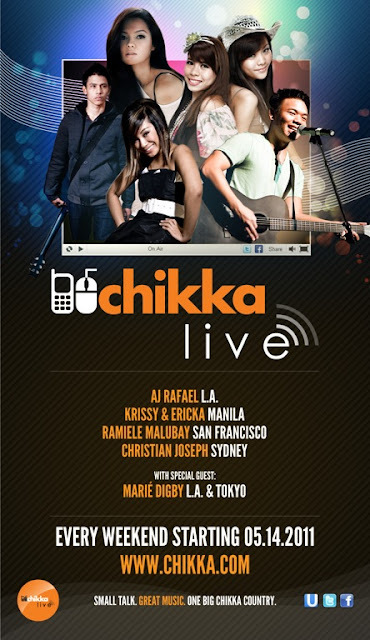 To download the Chikka Messenger app for Android, go to http://bit.ly/chikkaonandroid. For iPhone users, the latest version of the Chikka Text Messenger app is also available in the http://bit.ly/chikkaoniphone.